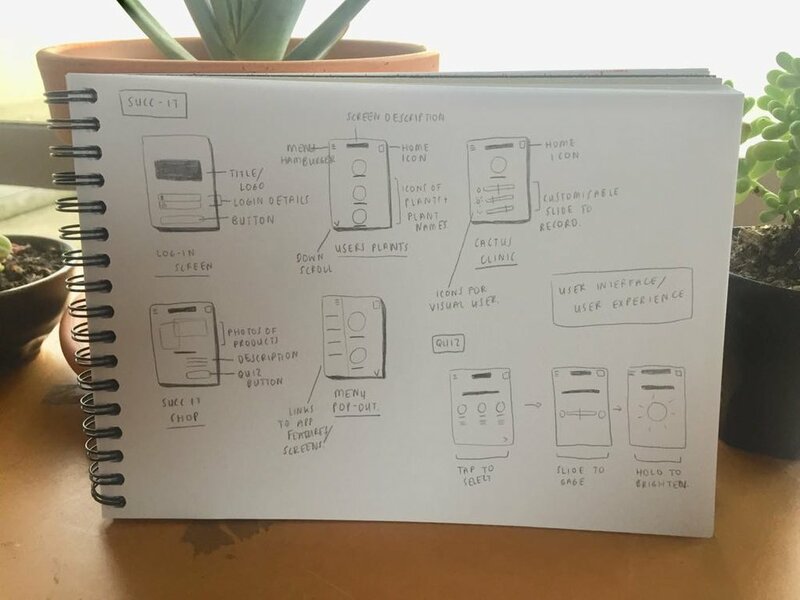 This project was to design a supporting app to a new concept; Succ It – a social enterprise offering environmentally conscious gardeners an innovative product that contributes to a more sustainable lifestyle. The Succ It product is a paper pot made from recycled materials, the general idea is that as the paper pot system bio-degrades in the soil, it releases nutrients that allow plants thrive. The purpose of the Succ It app is as a support mechanism so that the user may interact with their plants and the company using their smartphones. Creating an important two-way conversation through Education, Connection and Support. The supporting Succ It app allows users to create a profile in order to record and track the growth progress of each of their plants. The app has features to determine what plant species would thrive in the users space, it also has a clinic feature which notifies the user when each plant needs water, sunlight, potential ailments of the plant, such as, moulded roots. User interface designs, aesthetics and specifics of final output included eg. colour, iconography, typography. How the app functions. App information layers, how the experience of the user alters over the course of the interaction.